For the first time in more than 30 years the President of the United States has spoken with Iran's leadership. 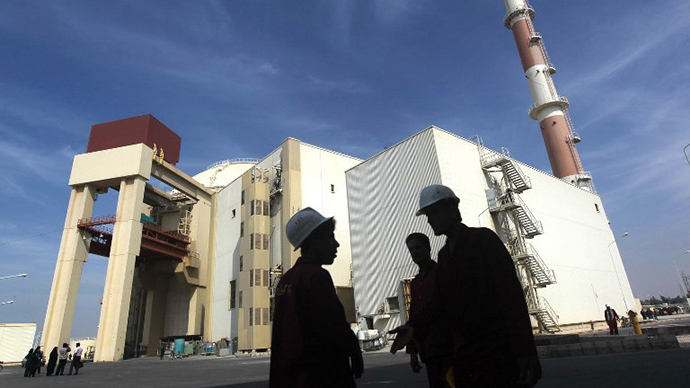 Barack Obama announced he believes the two sides can reach a deal regarding the future of the Islamic Republic's nuclear program. 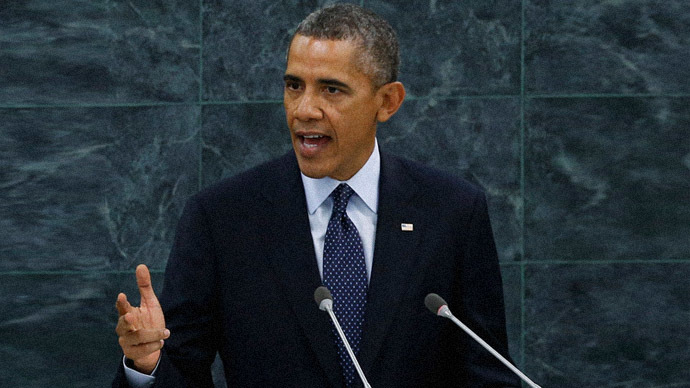 “I believe we can reach a comprehensive solution,” Obama said, adding that he has asked US Secretary of State John Kerry to continue pursuing a deal with Iran that would prohibit Tehran from pursuing the development of nuclear weapons. 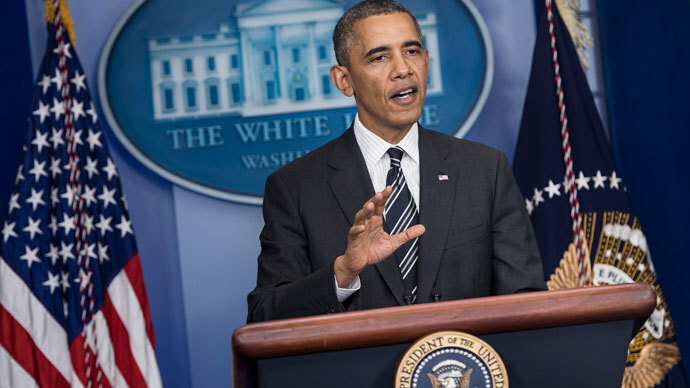 “I do believe that there is a basis for a resolution,” Obama said. Obama said his conversation with Rouhani earlier that day marked the first communication between an American and Iranian president since 1979 and “underscores the deep mistrust between our countries” that he hopes to now bury. After a historic phone conversation with Barack Obama, President Rouhani has left the United States tweeting his reaction to the breakthrough in diplomatic relations between the two countries, which itself is an unusual development. “In regards to the nuclear issue, with political will, there is a way to rapidly solve the matter,” Rouhani tweeted the US President. 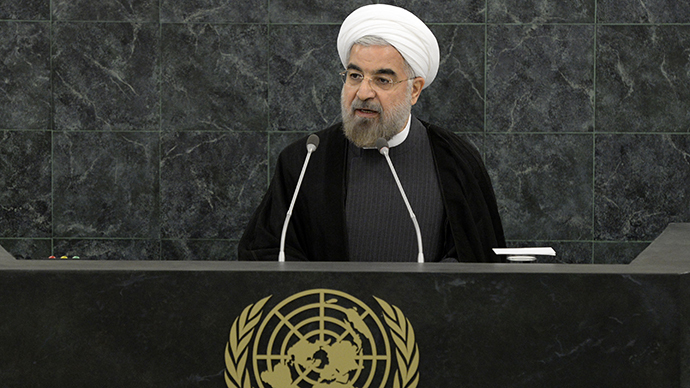 Rouhani stressed that the next round of negotiations with the P5+1 should prove fruitful. 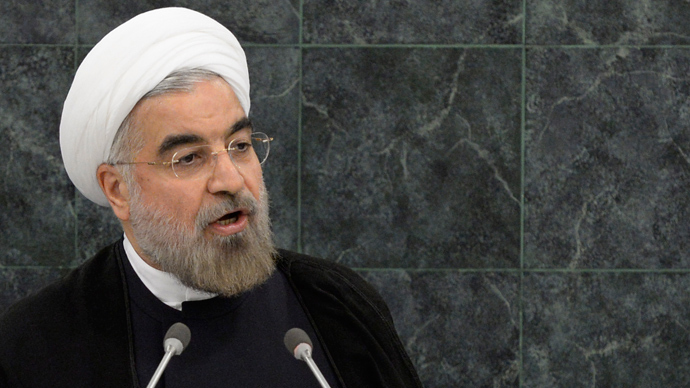 The US President, according to Rouhani’s Tweets, expressed his respect for the Iranian people. “I express my respect for you and people of Iran. 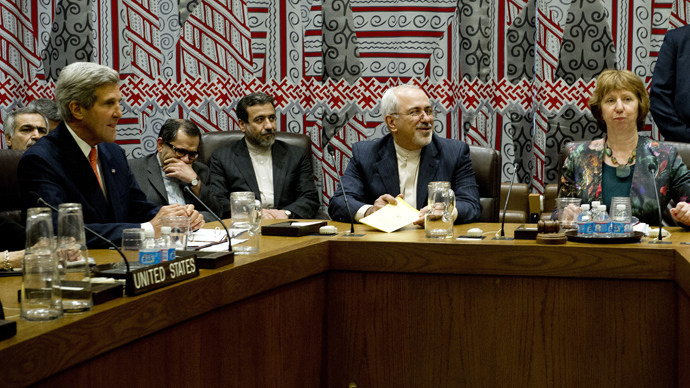 I'm convinced that relations between Iran and US will greatly affect region. If we can make progress on nuclear file, other issues such as Syria will certainly be positively affected,” Obama reportedly told Rouhani during the phone call. At the end of the call Obama wished Rouhani farewell saying, “Thank you, Khodahafez,” a common parting phrase in the Persian language, while Rouhani wished Obama does not get caught in horrendous traffic jam in New York City. Witnesses say the two leaders spoke for about 10 minutes immediately after the conclusion of Rouhani's last scheduled meeting, just as he was about to leave the UN General Assembly gathering. The presidents spoke in English without a translator, an Iranian witness told NBC’s Robert Windrem, adding that Rouhani was a bit “shocked” to receive a call from Obama. Witness said Rouhani was getting ready to leave hotel, was shocked at the call and the two spoke for what he estimated was 10-11 minutes. On the sidelines of the UN General Assembly on Thursday, US Secretary of State John Kerry sat next to his Iranian counterpart Mahammad-Javad Zarif for the first time as well, in the company of the EU’s chief diplomat Catherine Ashton and delegates from the five permanent members of the Security Council plus Germany. The participants agreed to "go forward with an ambitious timeframe," according to Ashton, and will meet in Geneva on October 15-16.